In Sodo and Georgetown — known collectively as The Flatlands — crime is up 31 percent, driven largely by an increase in property crime. 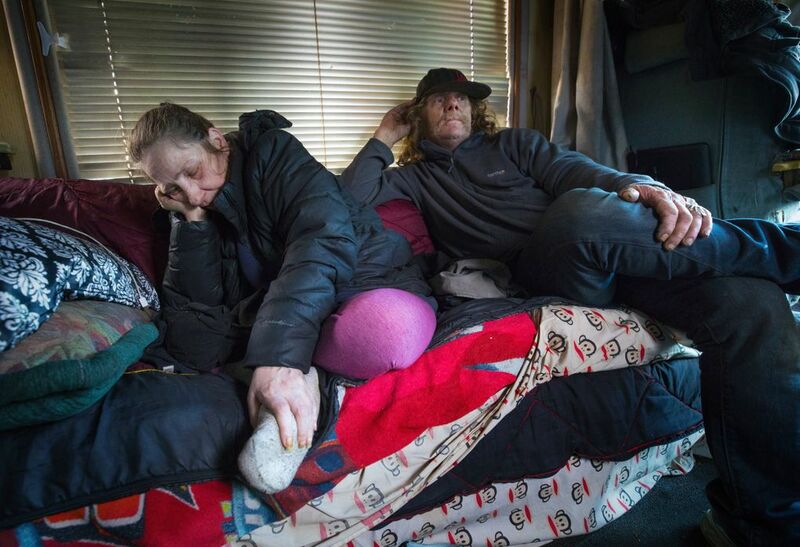 Police and business owners blame the rise on chronic drug users living in RVs who have moved into the industrial area. After a break-in nearly two years ago, the Messenger Corporation spent $50,000 repairing damage, replacing stolen items, upgrading its security system and installing surveillance cameras. 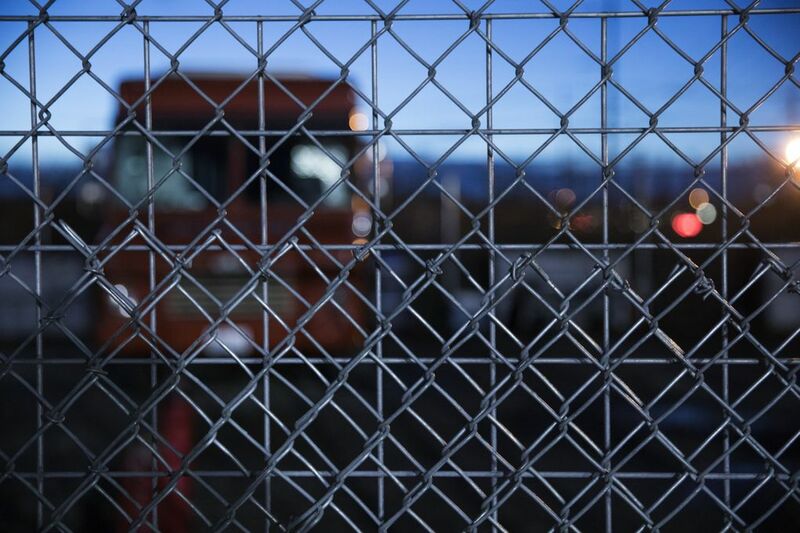 When Seattle police returned the design and branding company’s stolen box truck three months later, the cargo area was littered with hypodermic needles, recalled Pat Harty, Messenger’s chief financial officer. 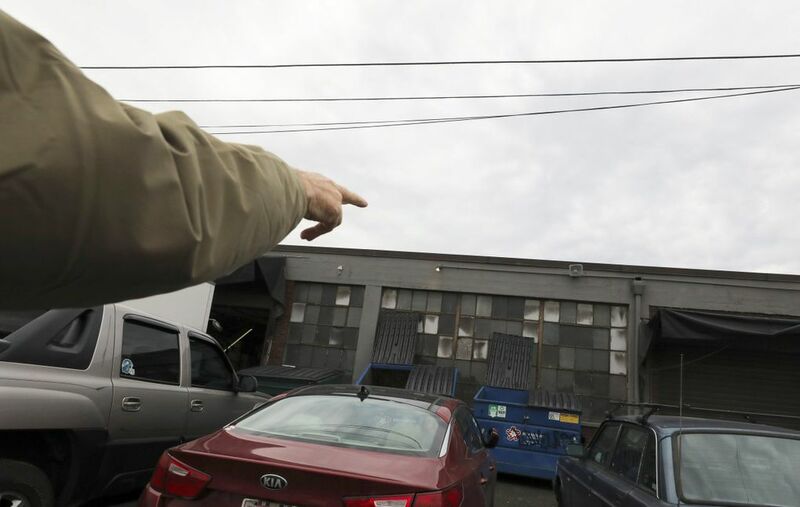 “We’re not unique,” Harty said of businesses in Sodo that have experienced skyrocketing property crime as a population of chronic drug users, many living in dilapidated recreational vehicles (RVs), has moved into the city’s industrial zone south of downtown. Since the break-in in February 2017, Harty said, crime in the neighborhood has steadily gotten worse — to the point where clients no longer come to Messenger’s offices for meetings and employees regularly have to shoo away people who randomly walk in, including one woman who complained the business’s coffee maker was broken when she attempted to help herself to a cup. Citywide, crime increased only 1 percent in 2018 over the previous year. But in Sodo and adjacent Georgetown — which police collectively refer to as The Flatlands — crime was up 31 percent year-over-year, driven largely by an increase in property crimes, said Capt. Kevin Grossman, commander of the Seattle Police Department’s South Precinct. Business owners universally blame RV dwellers for a surge in nocturnal crimes that aren’t discovered or reported to police until someone shows up for work the next morning. Even when a thief triggers an alarm system, a business owner is contacted before police, adding minutes to response times and increasing the likelihood of a clean getaway. “It’s ongoing. 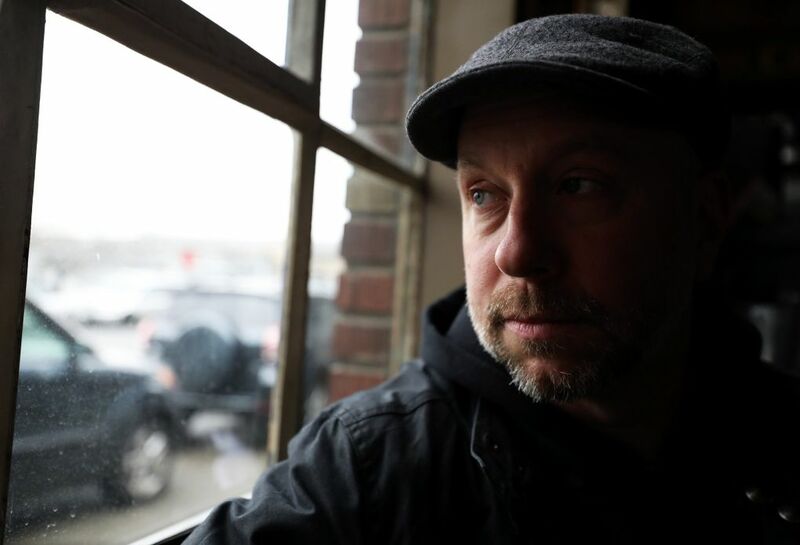 I’m sick of it,” said Tim Ptak, who co-owns Hudson, a bar and diner on East Marginal Way South and South Hudson Street. 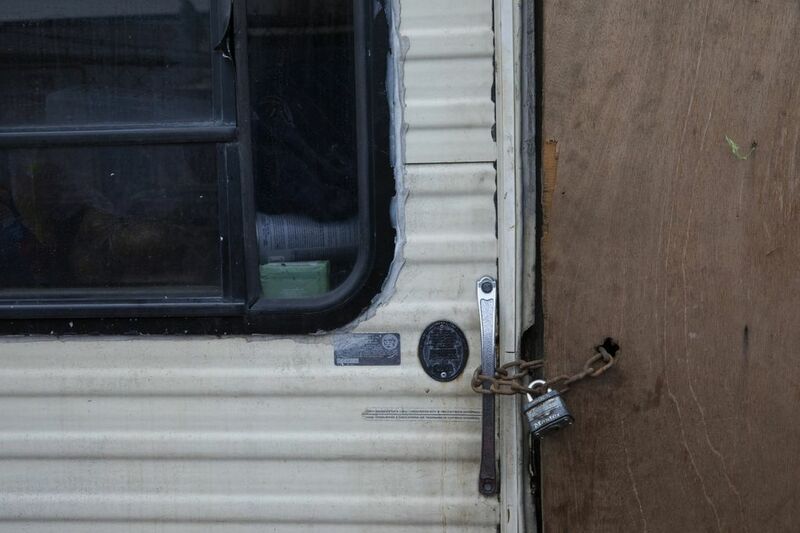 Some people living in RVs say they, too, have been the victims of theft and other crimes. “The drug addicts, they like to walk around at night stealing stuff. And you know who pays for it in the long run? People like me and her,” Don Finch, 61, said of himself and his wife, Rosa Geiger, 55. They’ve been homeless for two years. Their RV, recently parked on Third Avenue South near South Walker Street, has mold, mice and a leaky roof. In early December, Finch, a former mechanic with a bad back, said a young woman walked in uninvited and stole $400, the couple’s only cash for the month. Another night, Finch overheard thieves as they plotted to steal his generator. He scared them off with the baseball bat he keeps propped by the door. 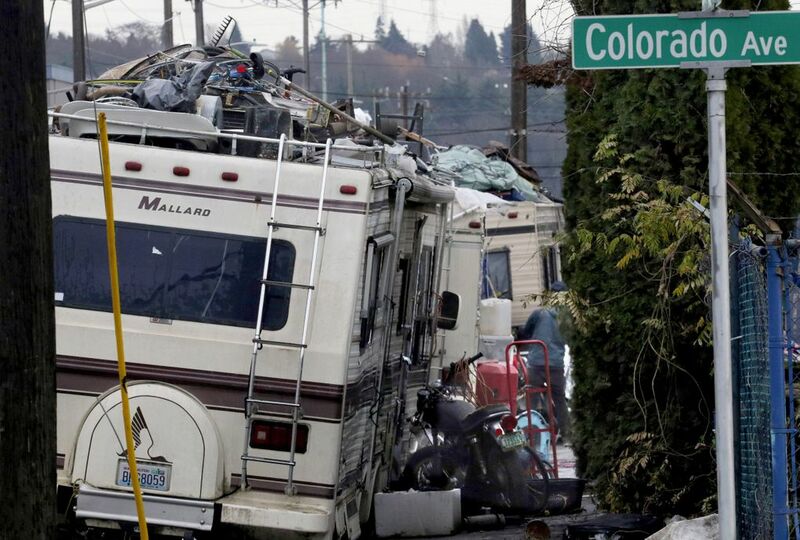 Several others living in scattered clusters of RVs in Sodo declined to be interviewed. But those who did consent to interviews said that, in addition to thefts, they are targets for harassment — semitruck drivers who blast their horns at 3 a.m. or football fans who drive by on game days, screaming derogatory comments about the homeless. Sean Soth, director of clinical services at Evergreen Treatment Services in Sodo, said about 30 to 40 percent of their opioid treatment clients are homeless, with most living in traditional encampments. Soth emphasized that homeless people are increasingly moving into areas like Sodo as they’ve been pushed out of other parts of the city. And most are law-abiding. In response to an increased volume of 911 calls, Grossman in May assigned a dedicated police squad to work the first watch — from 3 a.m. to noon — in the patrol areas that cover Sodo and Georgetown. He meets monthly with a handful of sergeants, the precinct’s crime-prevention coordinator and an attorney from the City Attorney’s Office to analyze crime data and determine where crimes are happening. The precinct’s Community Police Team performs similar outreach to people living in RVs as the city’s Navigation Team — made up of outreach workers and police officers — does in contacting residents of tent encampments, offering them housing and other services. “There’s certainly a problem and I sympathize with the business owners. I know a lot have spent thousands of dollars on security measures — fencing and cameras and alarms — and I know they’ve lost a lot to theft,” Grossman said. The thieves are relentless and innovative. They steal propane tanks and generators, punch holes in gas tanks and siphon fuel for their own use. They take everything from car batteries and catalytic converters to bicycles, scrap metal and power tools — anything to make quick cash to buy heroin or other drugs, Grossman said. It’s a problem that didn’t even exist in The Flatlands five years ago. This year, the city will expand the Law Enforcement Assisted Diversion (LEAD) program to Sodo in hopes of getting more low-level drug users connected to case managers, Grossman said. LEAD, which was first introduced in the West Precinct in 2011, gives Seattle police officers discretion to divert certain people out of the criminal-justice system and into community-based care, where their immediate needs, like food and housing, are met as they remake their lives through job training, education or treatment. The program, which has been replicated in 20 cities across the country, has been shown to greatly reduce recidivism rates. Sodo is a tough place to live for someone without a traditional roof, said Brandie Flood, LEAD program manager. Because the area is so industrial, there are no public bathrooms, libraries or public parks, all places where homeless people are more likely to spend their time in other neighborhoods, she said. 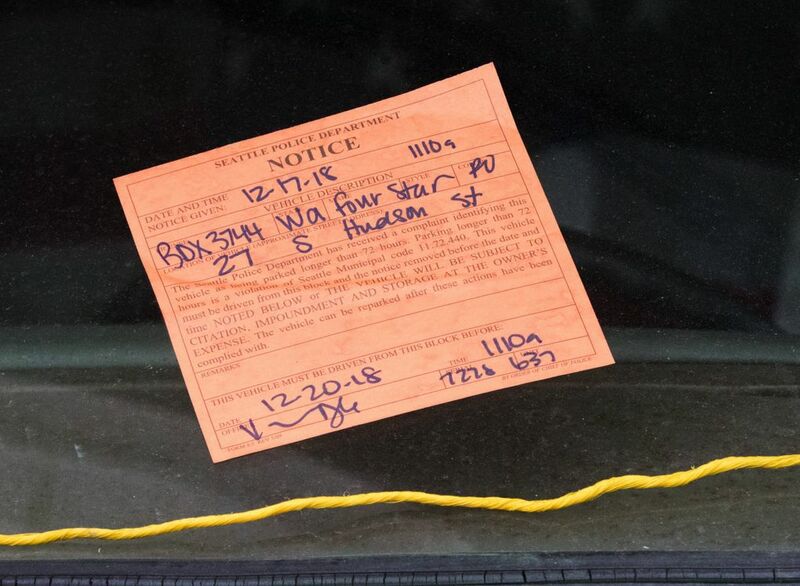 It’s not illegal in Seattle to live in a vehicle, so police are restricted to enforcing the 72-hour parking limit on city streets. But with so many RVs now occupying The Flatlands, vehicle owners often flout that rule and stay in one spot for days or weeks at a time, moving only when they’re threatened with being towed. 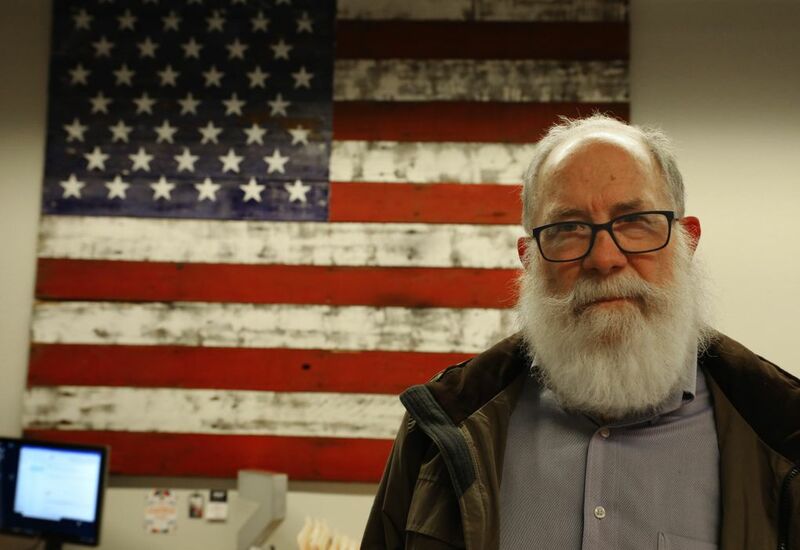 “There’s just the sheer number of RVs — we’re not going to get to all of them,” Grossman said of the estimated 400 that occupy Sodo and Georgetown alone. As a result, numerous businesses have installed large concrete blocks along their property lines to make it impossible for RVs to park there. At least one towing company operating in Sodo will no longer tow RVs from private property because they are often considered biohazards and it costs $700 to $1,500 to turn each one into scrap. Those that aren’t scrapped are sold at public auction. “Nobody wants to buy them. Some are so bad you don’t even want to go in it,” said Gary, the owner of Gary’s Westside Towing, who asked that his last name not be published. “I’m just tired of eating it,” he said of the scrap costs, storage fees, employee wages and wear and tear on his tow trucks that fueled his decision to stop towing RVs. A manager at Lincoln Towing, which holds the city contract through June to tow vehicles from public streets, declined to be interviewed. Business owners say the constant thefts, shoplifts, car prowls and break-ins are just a part of the growing lawlessness in the neighborhood. Piles of garbage and human filth, broken-down RVs, graffiti, prostitution and the often-erratic behavior of drug users all make for an unsavory environment for employees and customers alike. “It’s epidemic. 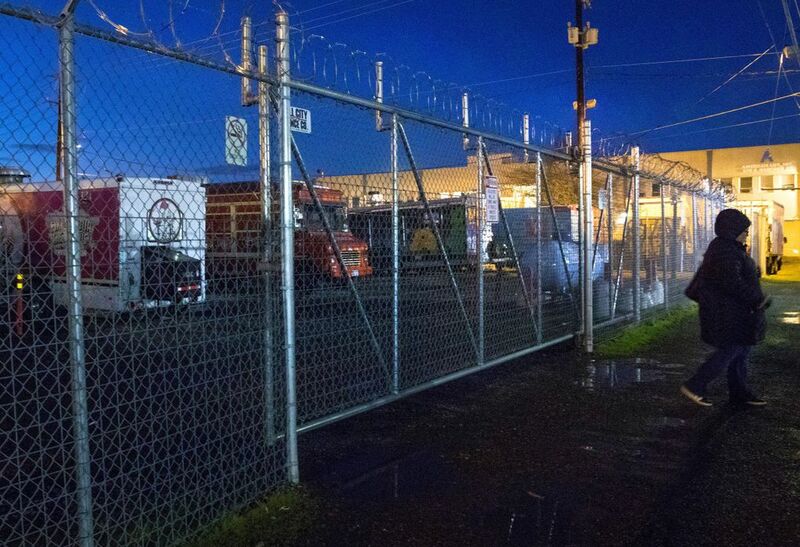 It’s crazy,” said Rick Koch, owner of All City Fence Co., who has added coils of razor wire to the enclosure surrounding his business on South Hudson Street. He blames “the campers, the tweakers, and the prostitutes” for Sodo’s rising crime rate. Once, he chased off a group who built a campfire on the other side of his fence, close to where he had stored $100,000 worth of cedar. So far, the city’s approach to dealing with RVs has largely focused on removing them, although some efforts have been made to accommodate them. In 2016, the city spent $35,000 a month on a failed RV safe-parking site in Ballard that saw only 11 people move into housing. It shut down after just six months. Since then, another safe lot for RVs was created in Sodo but as of December, only three RVs remained parked there and no new residents were being allowed in. Seattle Mayor Jenny Durkan secured $250,000 in the most recent budget to fund the launch early this year of an overnight-only site for vehicle residents, modeled after safe lots in California. But only smaller, passenger vehicles will be allowed in, not RVs. 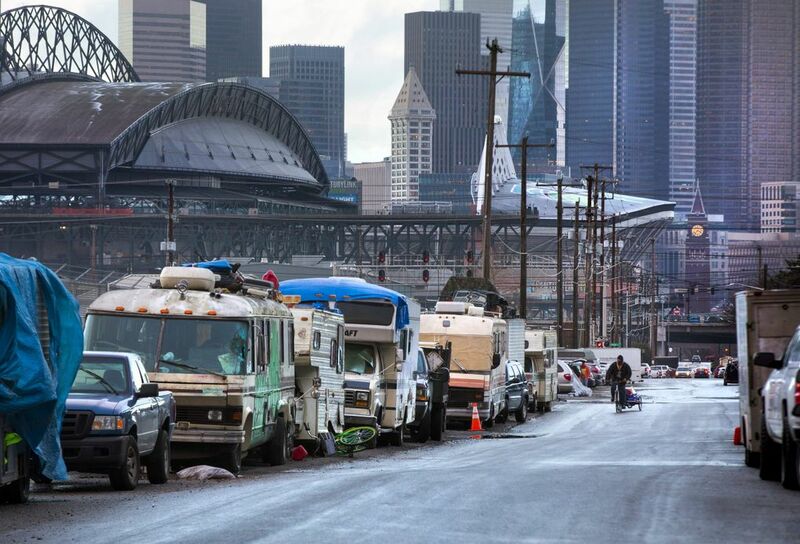 In May, Seattle Public Utilities (SPU) began a pilot program in Sodo to clean up the mess left behind by vehicle campers in much the same way the city has handled cleanup of tent encampments: RV residents are given notice of a date and told they will be towed if they don’t move. The pilot for RV cleanups has since received permanent funding and been expanded citywide. 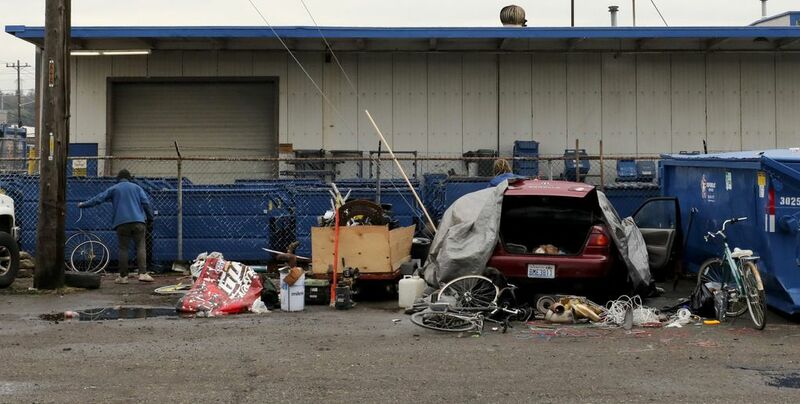 Still, between May and October, 15 of the city’s 36 RV cleanups were conducted in Sodo, where workers hauled away more than 110,000 pounds of trash, according to records obtained through a public-disclosure request. Checklists filled out by city workers indicated criminal activity was documented at one-third of the Sodo cleanup sites — a designation based on previous police reports documenting criminal activity related to the RVs themselves or else connecting an RV cluster to crime nearby, said SPD spokesman Sgt. Sean Whitcomb. “They are using Sodo as a de facto parking lot for RVs, and it shouldn’t be,” said City Council President Bruce Harrell, who represents District 2, which includes Sodo and Georgetown. Harrell, who just announced that he would not seek re-election, said he’s frustrated the city isn’t enforcing existing parking laws in The Flatlands. 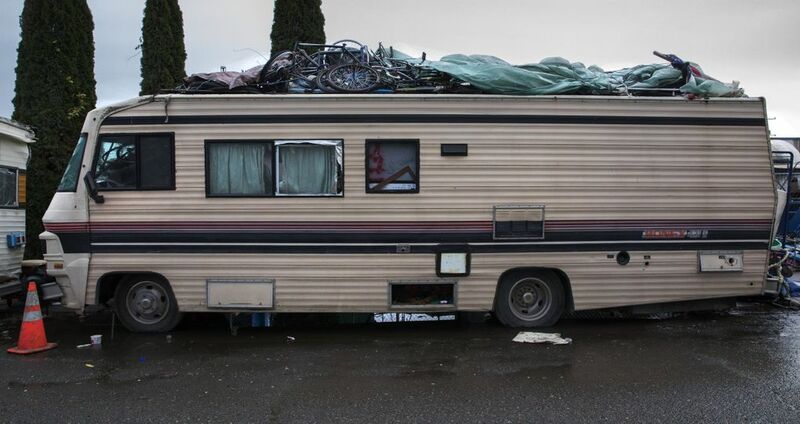 And like business owners in his district, Harrell believes the increase in crime is directly connected to the growing presence of RVs, which have multiplied since the city shut down the sprawling Jungle tent encampment beneath Interstate 5 in late 2016. As of early December, 510 cars had been broken into in Sodo and Georgetown, almost 100 more than the 417 car prowls reported a year earlier. Similarly, commercial burglaries, thefts and motor-vehicle thefts were all up in 2018 over the previous year, according to police data. 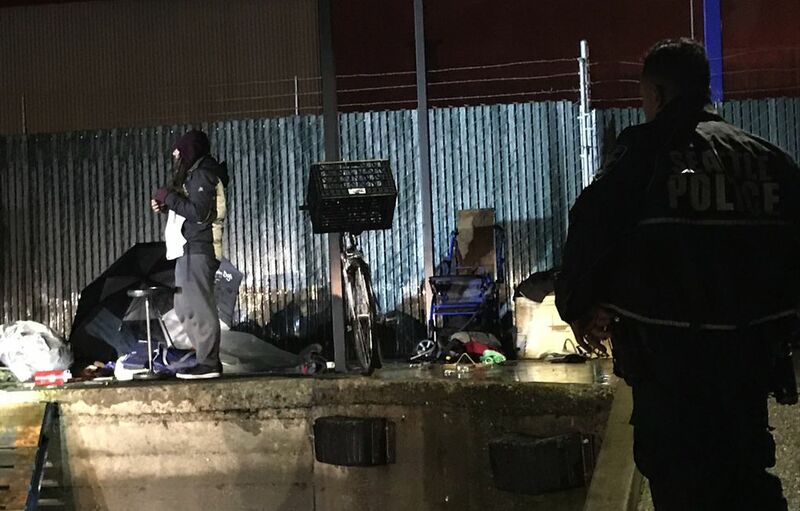 “In the mornings, we get slammed with burglaries out here,” Officer Juan Ornelas said while driving through Sodo in the rainy predawn of a recent Tuesday. He used the spotlight on his patrol SUV to scan a chain-link fence outside a business on Corson Avenue South for new holes, pointing out spots where the fence had been patched and re-patched after earlier break-ins. Ornelas headed north and swung the SUV through the parking lot of a small business plaza on Sixth Avenue South, where business vehicles are left overnight. It used to be thieves would slice through gas lines to steal fuel, taking what they needed and letting whatever remained in the tank leak out onto the ground. One business in the plaza had to remove and replace a section of asphalt to clean up the fuel spill, he said. Ornelas, who has spent nearly 17 years patrolling the South Precinct, said numerous businesses have moved out of Sodo and Georgetown in the past couple years, their owners fed up with rising crime. One of them, on South Dawson Street near Fifth Avenue South, moved out in February. Workers filled two moving trucks with gear and left them parked outside overnight, Ornelas said. Both were reported stolen the next day. One of the trucks had a tracker and Ornelas ended up arresting a guy he’d arrested three times before for burglaries in the neighborhood. The man told Ornelas he got the stolen truck from a friend who lived in an RV across from the now-closed business. “They would all hang out there,” he said, pointing to the spot now occupied by concrete barriers. In another case, Ornelas helped nab a serial burglar who years earlier had committed commercial burglaries in Sodo and was sent off to prison for a couple years. Last January, Ornelas responded to a burglary at a religious-supply business on Fourth Avenue South and noticed the lock on the door had been twisted and pulled out in the same way as in the earlier burglaries. Long story short, Ornelas and other officers arrested Timothy Torkelson, 49, a week later. Torkelson — who has 10 prior convictions for second-degree burglary, including the earlier burglaries in Sodo — was sentenced in September to a little over 5½ years in prison, court records show. “That was a nice win. You know you’re going to prevent a bunch of other crimes by taking one person out of play,” Grossman, the South Precinct commander, said of Torkelson’s arrest. “We’re doing a lot but at times it feels like we’re shoveling sand against the tide. Seattle Times staff reporter Vianna Davila contributed to this story.